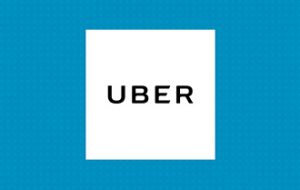 By using this gift card, you accept the following terms and conditions: This gift card can be used to credit your Uber® stored value account accessible via the Uber® or Uber Eats app within the UK in cities where Uber or Uber Eats is available. You may return non-redeemed gift cards for a full refund within 14-days of purchasing the gift card or code from any online retailer. However, once redeemed, you acknowledge that no refund will be made. You may be required to add a secondary payment method to use this gift card with the Uber® or Uber Eats app. Limits may apply to amounts able to be loaded into your Uber account, and to the amount of spending from your Uber account. This card is issued by Uber B.V. Keep this gift card safe; issuer is not responsible for lost or stolen cards, or unauthorised use. For balance, full terms and conditions, and customer service, visit uber.com/legal/gift.